Big changes are coming to the PropertyGuru Asia Property Awards series, which is expanding in 2017 to include categories for exciting markets such as Mongolia, Laos, Sri Lanka, India and the Maldives. The prestigious annual ceremony in Singapore, which will now also feature China, Hong Kong and Macau categories, will be held over two nights at the Sands Expo and Convention Centre at Marina Bay Sands on 7-8 November 2017. 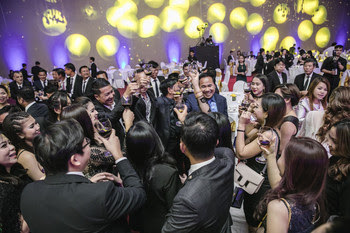 The 12-year-old programme, which was first launched in 2005 by Ensign Media in Thailand, also holds annual black-tie gala dinner events in Cambodia, the Philippines, Vietnam, Myanmar, Malaysia and Indonesia, playing host to up to 600 C-level executives, senior industry figures and VIPs at each event. Country winners from the aforementioned 14 markets advance to the seventh annual PropertyGuru Asia Property Awards grand final in Singapore on 7-8 November to compete for regional titles and be crowned the “best in Asia” in 2017. Last year’s grand final champion was Malaysia’s Sime Darby Property, which collected the biggest award for Best Developer (South East Asia). “The recognition of Sime Darby Property as the Best Developer in South East Asia by such esteemed industry experts is further testament of our commitment as a trusted developer. We were very honoured to receive the award and our heartfelt appreciation goes to the organiser,” Dato’ Ir Jauhari Hamidi, managing director at Sime Darby Property, said in a press statement last November. 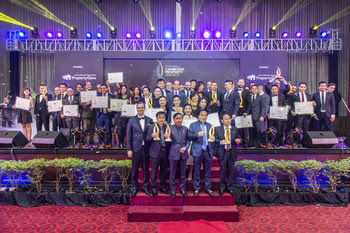 The PropertyGuru Asia Property Awards has an unparalleled reputation within the Asian real estate industry for being credible, fair and transparent, with an independent judging body, which comprises luminaries representing all real estate sectors, and a trusted awards supervisor in every market. Developers — reputation, image and corporate social responsibility initiatives; overall track record; displays of innovation; and achievement in the past 12 months. Development and Design — location; value for money; unique selling points; state of completion; sales success; design concept, innovation and use of space; quality of amenities; and construction and materials used. New regional categories to join the 2017 Awards include Best Mixed Use Development (Asia). While the award was presented in select country ceremonies last year (Singapore, Malaysia, China, Hong Kong/Macau), it will be the first time that a regional winner will be named. Another new category is Best Universal Design Development (Asia), which is open to residential and commercial developments across the region that will be shortlisted in any category at the country awards. The project must be built environment that can be accessed, understood and used to the greatest extent possible by all people regardless of their age, size, ability or disability. Overall, there will be seven Design, eight Development and two Developer categories at the grand finale ceremony. The two gala events will each begin with a two-hour international networking cocktail reception, followed by the opening remarks and speeches, four-course dinner, and the awards ceremony proper. The first night on 7 November focuses on Singapore categories, and the second night on 8 Novemberfeatures the new markets and the regional competition. Alongside the gala dinner, PropertyGuru’s C-suite conference — the two-day Singapore Real Estate Summit 2017 — will be held at the same venue in the daytime.